MORE GAMES! MORE FIELDS! MULTIPLE DIVISIONS! The HUB Standard Leagues are our largest leagues and are offered 3 times a year – Spring, Summer and Fall. With the HUB Standard Leagues you pick the days and skill level you want to play. Longer games and longer seasons than our specialty leagues. Divisions are divided by skill level and location and generally have between 6 and 15 teams in each. 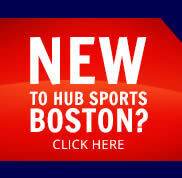 The HUB Standard Leagues is the place you want to be if you want a little more out of your game.